My husband never fails to charm. He is my True Prince. he gave me for St. Valentine's Day! 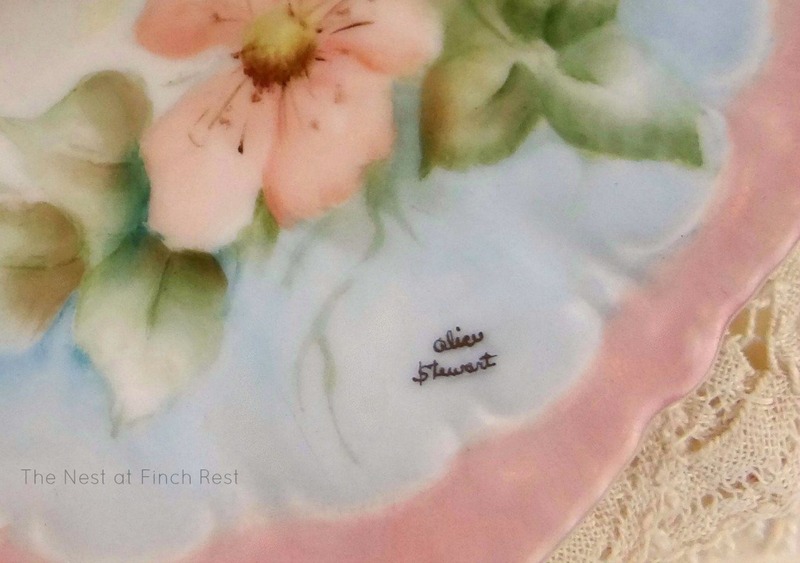 a signed hand painted dish looks so pretty. 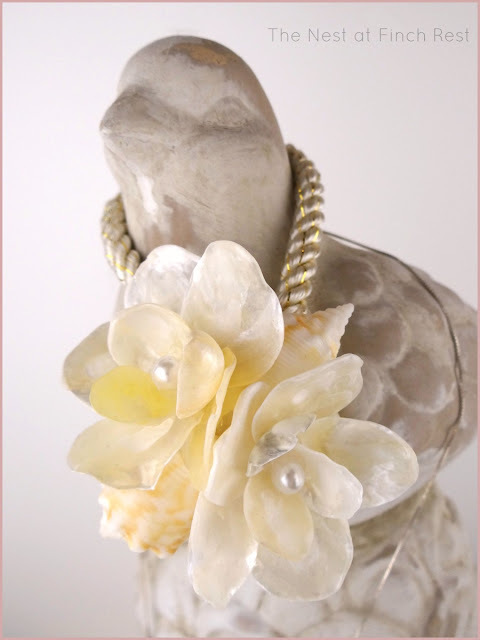 around the neck of my stone bird sculpture! Here is the vignette all together - softened & lightened up. Get better soon. These sweet gifts should help. Love the necklace Michele, your hubby sure knew how to make you feel better. 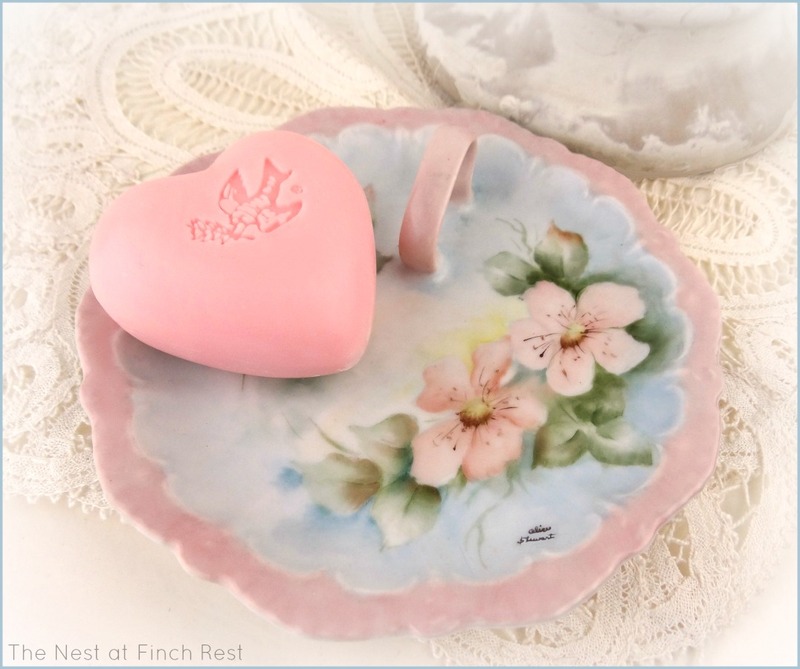 I am imagining how heavenly the soap the smells, it's pretty. Nice shell ornament too. Oh so very sweet Michele. I love everything that was chosen for you. How sweet. 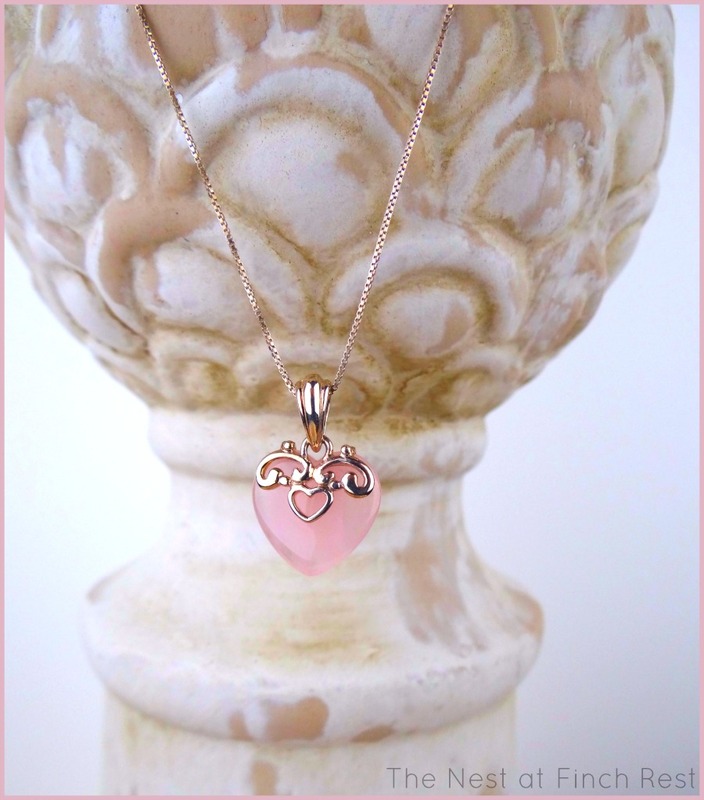 Love your necklace Michele, such a great valentine gift. 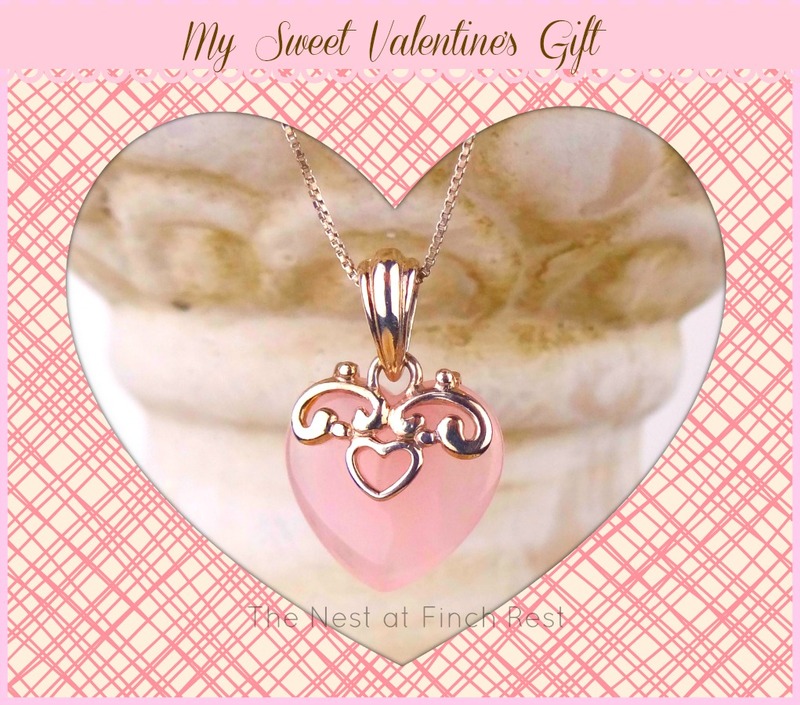 What lovely Valentine images, and such a sweet necklace! Such sweet and thoughtful gifts from your husband and dear friend. Such treasures from special people always touch the heart. Glad you have them around during your recovery and always. Lovely gifts. How thoughtful of your hubby. Get well soon! I love the pretty necklace your husband gave you! How sweet. All your Valentine's Day gifts are lovely! 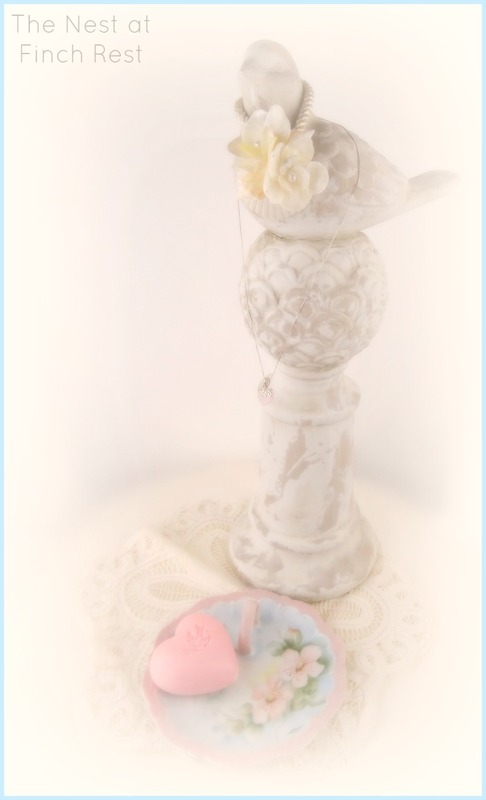 Your vignettes with the gifts are beautiful! I have just recently subscribed to your blog so don't know what you're recovering from but hope your doing well with it. All those wonderful gifts tell me you must be a very special lady. Your gifts are so pretty, love them all. Take good care of yourself. 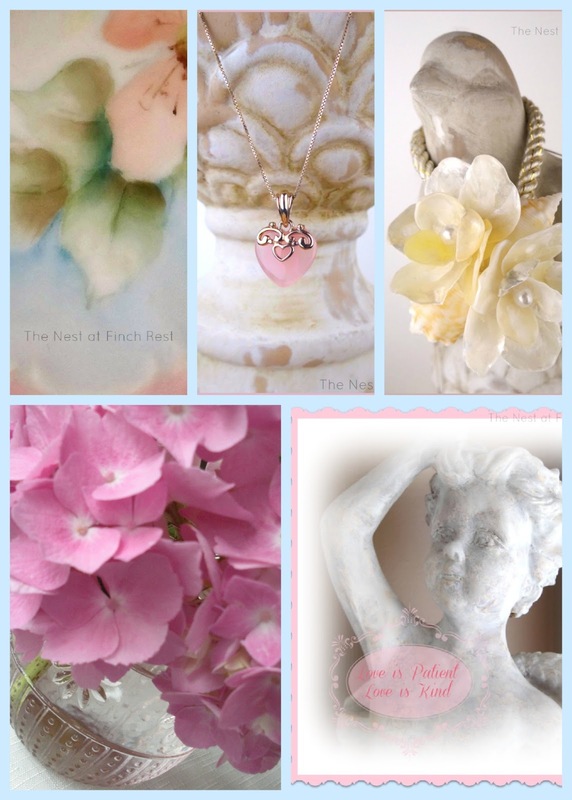 Very pretty gifts, Michele! That necklace is beautiful. Hoping you are on your way back to 100% as each day passes. Your husband is a Sweetheart and I am sure you deserve his lavishing you with such a beautiful heart. I hope you are feeling better and better. Enjoy wearing your pink heart and feeling the love. What a wonderful Valentine's Day! I love the necklace. You are truly blessed. Oh Michele, love it all! Hubby did done good. Such pink prettiness. What a sweet hubby! I love the heat Michele. I bet you will wear that and it will always remind you that his heart belongs to you and you alone. So sweet! Lucky and blessed you! So lovely....your hubby is a sweetheart! How wonderful. A perfect gift! That is a beautiful necklace...He is obviously a sweet and doting husband...you've trained him well! I think you should keep him!! What a sweet heart necklace Michele. Sounds like your sweetie is taking good care of you and pampering you a bit. What lovely gifts and how pretty your pictures are. Hope you're mending quickly and will soon be up and at it again.